The country is facing load shedding due to the disruption of Eskom operations by striking Eskom employees. The management of the utility, which is at risk of losing its going concern status, earlier announced there would be no wage increases or bonuses for employees this year. This angered unions who are insisting on a 15% increase. The talks broke down and the matter was referred to the Commission for Conciliation, Mediation and Arbitration (CCMA). 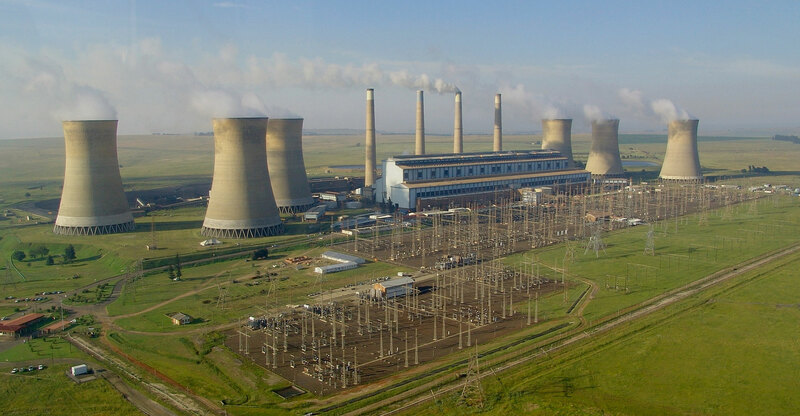 Even though Eskom workers are classified as providing an essential service and therefore precluded from lawful strike action, workers went on a strike characterised by intimidation of colleagues and alleged sabotage of Eskom operations, which resulted in load shedding countrywide. Knowing the salary scales is one thing, but to be able to compare it with salaries elsewhere one also must know what the job entails. 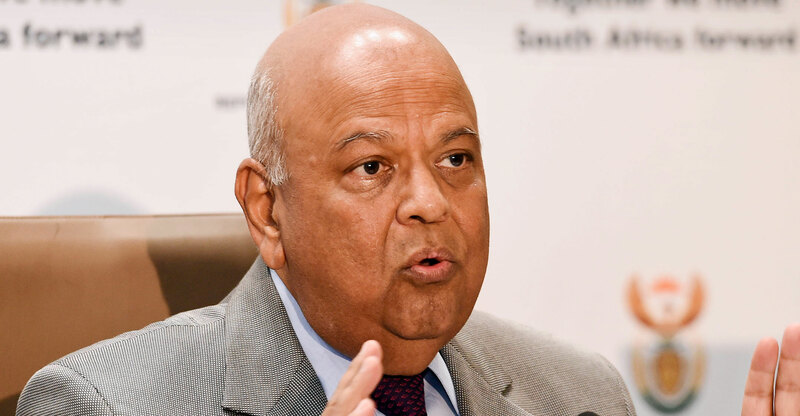 Public enterprises minister Pravin Gordhan has since intervened, saying on Friday that the 0% increase is off the table, and it seems negotiations might proceed this week. But how sound is the workers’ case? Last week, renowned economist Mike Schüssler angered unions representing Eskom workers when he tweeted that the average remuneration per employee at Eskom is R798 000/year. Schüssler went on to say that even if the income of executives and senior managers is excluded, Eskom workers still earn more than R600 000/year, on average. In an article discussing Eskom’s unsustainable wage bill, Nedbank CEO Group Mike Brown quoted a number of R770 000/year. About 37 000 of the 43 000 employees of Eskom as a company (not the group) belong to the bargaining unit. It is their salary increases that are now being negotiated between the unions and Eskom management. 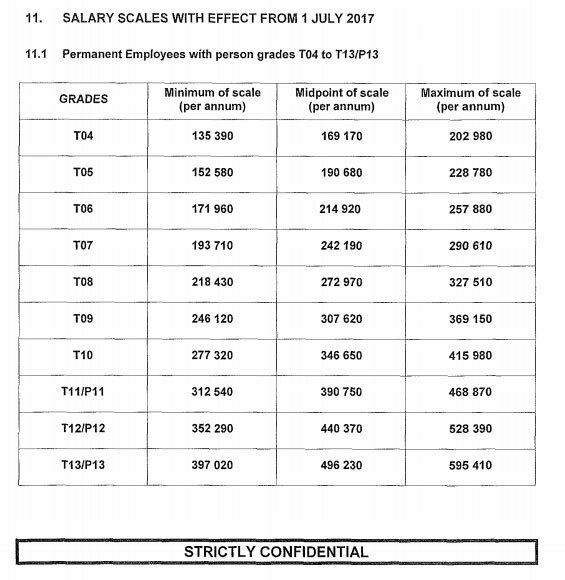 Moneyweb has obtained a confidential document that sets out exactly what workers in the Eskom bargaining unit earn. These employees fall into 10 salary bands, with the lowest earners earning R135 390/year and the highest R595 410/year. Bargaining unit members therefore earn between R11 282.50 and R49 617.50/month. It’s clear that most Eskom workers do not earn Schüssler’s average of R798 000 per person per year or Brown’s R770 000 per person per year. Brown in fact acknowledged that “the calculations were complicated” and that there was “some margin for error as a portion of salary costs could be capitalised”. He added that it was also not quite clear to what extent consulting fees were reported as salaries and wages. Numsa spokesman Phakamile Hlubi-Majola on the other hand told TimesLive that the average employee earns R135 000/year, which is also incorrect. Grade T13/P13 are entry-level professionals who are not in management, earning between R33 085 and R49 617/month. In assessing the case of the Eskom workers, it must be noted that the utility’s expenditure on bonuses almost doubled to R4.2-billion last year. In fact, on 11 July last year almost all Eskom staff got performance bonuses at an average of R88 883.35/employee. While averages once again do not show whether the members of the bargaining unit got their “fair share”, the unions were quiet at the time. The bonuses came at a time when Eskom on an alone-standing basis showed a loss of R870-million for the year ended 31 March 2017 and a few months before the cash ran out. If Eskom was run like a business, would it have considered salary increases amid doubts that it could continue as a going concern? Would its shareholder have “intervened” to reopen negotiations with unions and take the 0% off the table? No, but Eskom is a state-owned company funded by consumers and taxpayers with a politician representing the shareholder. And an election is fast approaching.